With my participation in the 2nd. Congress AHPBA Chapter Ecuador in The Galapagos Islands, began the dream of establishing the Guatemalan Chapter, with the unconditional support of Dr. Nestor Gomez and with the collaboration of Dr. Javier Lendoire, I returned to my country with this goal. I talked about that possibility with some colleagues and on December 2013 with the participation of 6 members, the dream came true. 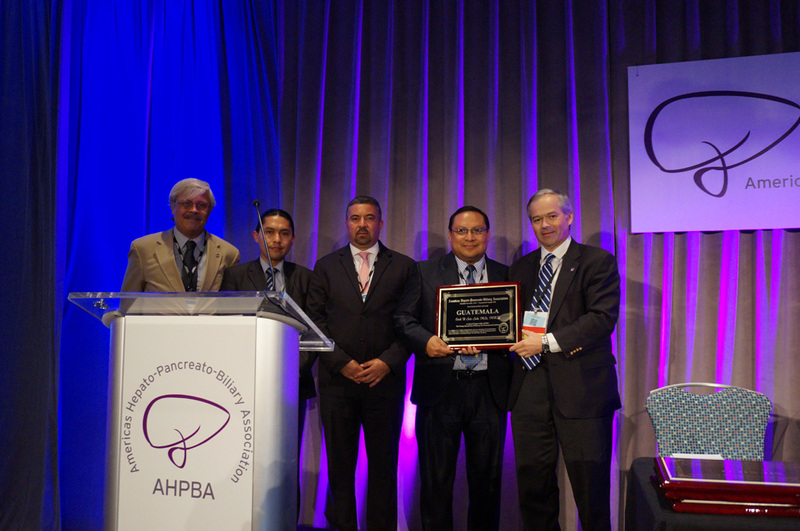 Our expectation is to increase our members both nationally and Central America area and the primary purpose is the benefit of all patient with HPB pathology through the exchange of knowledge and improving the skills of already trained specialists and encouraging future generations. Con mi participación en el 2do. Congreso AHPBA Capítulo Ecuador en las Islas Galápagos, inició el sueño de establecer el Capítulo Guatemalteco, con el apoyo incondicional del Dr. Néstor Gómez y con la colaboración del Dr. Javier Lendoire, regresé a mi país con esa meta. Hablé de esa posibilidad con algunos colegas y en Diciembre 2013 con la participación de 06 miembros, el sueño se hizo realidad. Nuestra expectativa es incrementar nuestros miembros tanto a nivel nacional como del área Centroamericana y el objetivo primordial es el beneficio que obtendrá todo paciente con patología HPB por medio del intercambio de conocimientos , mejorando así las capacidades de los especialistas ya entrenados e incentivando a las futuras generaciones.